KUALA LUMPUR: Irish pop group Westlife proved that they still have a strong fanbase in Malaysia when 7,600-strong fans filled up the Putra Stadium Bukit Jalil on Friday night for the Westlife: Live In Kuala Lumpur 2011 concert. The majority of the crowd were in their 20s and older, and they have been the group’s fans since their debut in 1998. 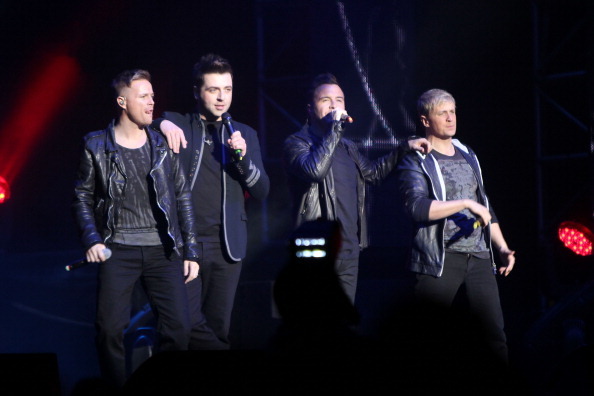 The members, Shane Filan, Mark Feehily, Nicky Byrne and Kian Egan, wowed the audience with their soulful voice, catchy songs and smooth choreography. Westlife performed 14 of their songs which put them on the world map, including Flying Without Wings, My Love, Seasons In The Sun and Uptown Girl. As a surprise for fans, the group also entertained them with a medley of songs by other artistes, namely Viva La Vida (Coldplay), Time Of My Life (Black Eyed Peas), Only Girl (Rihanna) and Bad Romance (Lady Gaga). This is the group’s fifth visit to Malaysia, with the last one being nine years ago. Filan said he was excited to be back in Malaysia again. Egan recalled their first time in Malaysia, when 6,000 fans attended their showcase. That night was also an exceptionally memorable one for a couple. The group helped the man propose to his girlfriend on stage. Part of Westlife’s Gravity Tour 2011, the concert was presented by JS Concert Productions, Midas Promotions and Sony Music.